Here we give a list of websites with information about Malawi, travellers’ health, and other subjects, but please don’t use this as a definitive list, especially regarding health, malaria, visas, flight and transport information. If you find any other websites that you think would be worth adding, please let us know. Other Links, including Tour Operators, Miscellaneous, Other Not-for-Profit Organisations Working in Africa, and Other Volunteer Opportunities. Malawi Tourism Guide: A very informative site, and they will send out their information packs to anywhere in the world on request (enquiries@malawitourism.com). 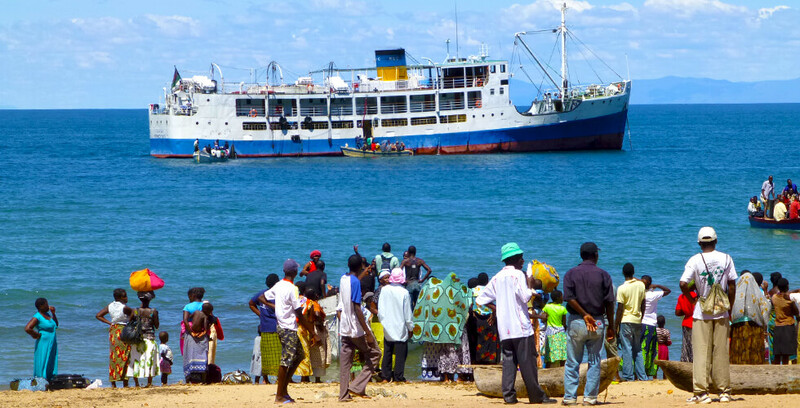 Lonely Planet — Malawi: The usual Lonely Planet information. Nyasa Times: Online newspaper with all the up-to-date news from Malawi. The Africa Guide: A complete and comprehensive guide to every country in Africa with essential travel information and hundreds of tours and safaris, hotels and car hire throughout the continent. They have been very supportive of our volunteer and sponsorship projects. BBC News Country Profile: Malawi: A good website giving basic facts about Malawi. The Malawi Project, Inc.: The Malawi Project, Inc., is an American organisation working in Malawi. The website gives useful information about the country, its people and culture. There are several good websites outlining the health risks in Malawi, two of which are the MASTA website in the UK and the Centers for Disease Control and Prevention (CDC) website in the US (see links below). You must seek medical advice from your doctor about vaccinations and malaria prophylaxis. In addition, we recommend that you take a basic First Aid course prior to travelling to Mwaya. Please note that you may need a Yellow Fever international vaccination card if you are travelling to other African countries from Malawi, or vice versa. MASTA: MASTA is a UK organisation, and their website provides travel health advice on anti-malarials, vaccinations and disease prevention for the people travelling abroad. Centers for Disease Control and Prevention (CDC) — Travelers’ Health: CDC is part of the Department of Health and Human Services in the US. The “Travelers’ Health” section contains links to all the information you might need about anti-malarials, etc. It is a good idea to travel in Africa or around Malawi before or after volunteering at Mwaya, or even during your placement when the schools are on term breaks if you are a teaching assistant volunteer (please see the Term Dates section on the Volunteer Teachers page). It is also possible to leave things at Mwaya Beach and use it as a base before beginning to volunteer or at the end of your placement. As village life can become somewhat isolated and volunteering a bit demanding, it is also important to get away occasionally! Healthcare assistants can set their own holidays, hopefully with consideration for the local staff’s obligations. Teaching assistants should generally stick to the school holidays, with occasional pre-arranged long-weekend breaks. Some interesting long weekend or week-long breaks include Likoma and Chizumulu islands, Usisya and Rurawe (villages north of Nkhata Bay only accessible by boat), Livingstonia, etc. For longer breaks within Malawi or to Zambia, we recommend you contact the tour operators listed below. Please make sure you have the correct vaccinations; for example, you may have to have a Yellow Fever international vaccination card to get into other African countries. Kiboko Safaris: Kiboko run really good value-for-money safaris in Malawi and Zambia, and they also run an hotel in Lilongwe. The Responsible Safari Company: Started by Dom and Kate and based in Blantyre, The Responsible Safari Company will organise tailor-made safaris to suit you, your family or friends. The Responsible Safari Company’s clients are also contributing to RIPPLE Africa’s woodland conservation programme with 1.5% of the cost of their holiday going towards this project. The Road to Reading: The Road to Reading is a collection of wallcharts, flash cards, and stories designed to be used as an aid to teaching reading and English grammar. The items on this website might be a useful resource for volunteers. Show Me WOW! : This webite is a collection of ideas, practical tips and case studies for inspirational teaching using limited resources. Temwa: Temwa is a UK registered charity working in the north of Nkhata Bay District, and RIPPLE Africa and Temwa are now working in partnership on woodland conservation and fuel-efficient cookstove projects. Project African Wilderness (PAW): This website is for an organisation called Project African Wilderness, or PAW. PAW has been formed to protect and restore the Mwabvi Wildlife Reserve in Southern Malawi. Aid2Africa.co.uk: This charity is working in Zimbabwe in Harare and in the Eastern Highlands from Mutare northwards where it is building classrooms at a new school. It pays the school fees of children who have lost one or both parents to HIV/AIDS, and provides resources like text books, sanitation and water. If anyone has read other books that they could recommend, please let us know and we can add them to the list.